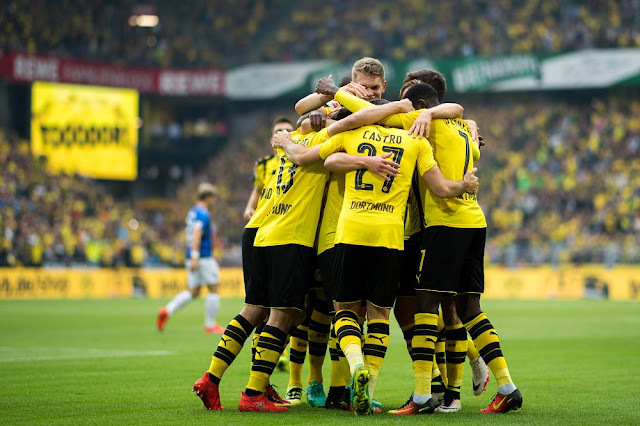 For the second time in four days Borussia Dortmund smashed six past their opponents to send a signal of intent to their rivals in the Bundesliga. A brace for Gonzalo Castro and a goal apiece for Rode, Pulisic, Ramos and Mor capped off a dream week for Thomas Tuchel's side. Darmstadt could only resist the mounting pressure from the hosts for seven minutes, before a sweeping counter attack by Ousmane Dembele and Gonzalo Castro gave the home side an early lead courtesy of a tidy finish from the latter. The visitors were suffocated by the vociferous and iconic support for last season's runners-up, and could barely hold the ball past their own half before Castro and Weigl intervened to keep Darmstadt's attackers at bay. Raphael Guerreiro and Adrian Ramos stung the palms of goalkeeper Michael Esser as Dortmund failed to illustrate their first half dominance with an even higher margin going into the break. Just three minutes after the restart, Guerreiro again tested Esser from distance with a low drive, and this time the 28-year-old could only parry the ball into the path of Adrian Ramos arriving to tap in and double the lead for the hosts. 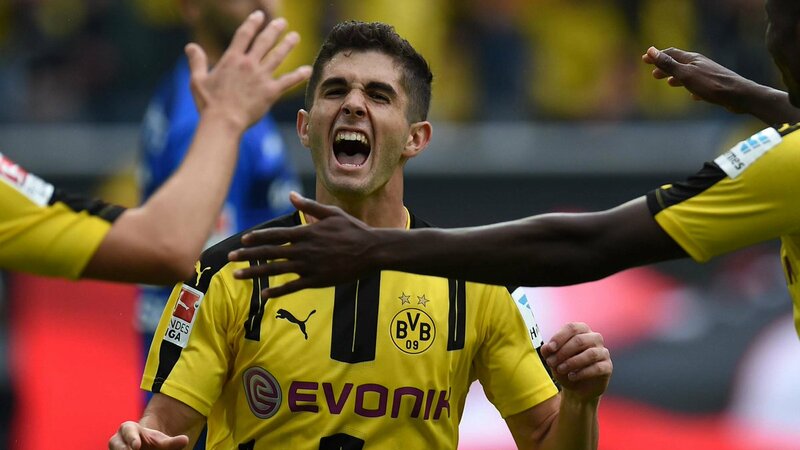 Following on from his midweek exploits, Christian Pulisic got in on the act for an early 18th birthday present, latching on to a deflected cross to slide the ball into a gaping net and tie up the three points for Dortmund. To make matters worse for Norbert Meier's team, the minnows were reduced to 10-men after Peter Niemeyer's clumsy foul on Ramos earned him a second yellow card to end a frustrating afternoon with an early bath. With the clock winding down and Darmstadt having effectively surrendered all attacking threat, Castro netted his second with a sublime piece of skill, flicking a cross from Pulisic past Esser with the inside of his heel from just inside the six yard box. Pulisic's creative spark shone throughout the match, and the American prodigy carved out two more goalscoring opportunities for his comrades, both grasped with both hands by substitute midfield pair Rode and Mor while Castro continued to dictate the pace of the game from the heart of midfield. A second successive 6-0 win doesn't happen often for any team in the world, so Dortmund must build on the early momentum they have built up this season to push on and clinch the title back from Bayern while remaining a threat on the continental stage in the Champions League also. Tuchel was all smiles at the full time whistle and he knows that he now has the squad he wants to challenge for trophies once again. What makes the scoreline even more astonishing is the fact that several key players such as Marco Reus, Mario Gotze, Andre Schurrle and Pierre Emerick Aubameyang weren't involved in the thumping of Darmstadt, truly underlining the talent and potency in this Dortmund squad.